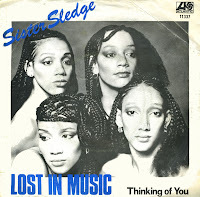 'Lost in music' was originally a track on Sister Sledge's 1979 album 'We are family'. I've had the 1984 release of the single for almost 10 years now, but this is the original release from 1979. It features a version of the track 'Thinking of you' on the B-side. The single reached number 15 in the Dutch Top 40. Kim, Debbie, Joni and Kathy Sledge formed Sister Sledge in 1972 in Philadelphia, Pennsylvania. 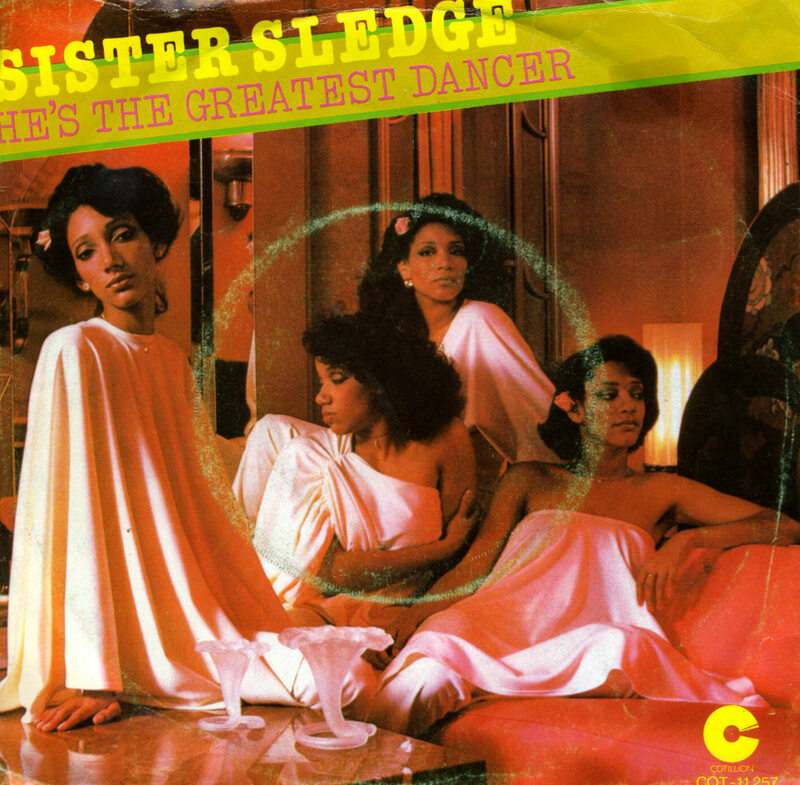 The four sisters (sister number five, Carol, preferred to stay outside of the music business) had a reasonably successful start of their career, but by the end of the Seventies, their career went into decline. It was then that they met Bernard Edwards from Chic. The disco anthems 'He's the greatest dancer', 'We are family' and 'Lost in music', all produced by Bernard Edwards and Nile Rodgers, became the biggest hits of their career. Their biggest hits have been re-released several times in the UK, often in newly-remixed versions. 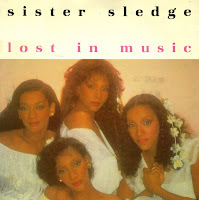 'Lost in Music' was one of them: it reached number 17 in 1979, number 4 in 1984 and number 14 in 1993. This single is the 1984 version, which I bought in 2000.